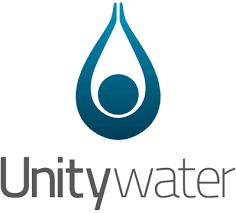 Responsible for operating and maintaining essential civil infrastructure over an area of 5,223 square kilometres, Unitywater is an organisation that truly appreciates the benefits and challenges of embracing mobile technologies in enterprise asset management operations. In 2016, with a mobility solution that delivered a frustrating end-user experience and required extensive customisation of their asset management system, Unitywater and Clarita Solutions undertook to deliver the Mobile Field Office (MFO) project. Spearheading the Asset Performance Program’s agenda to cut the cost to serve Unitywater communities, the MFO involved removing complex integration architecture that would allow asset management systems to be upgraded to the latest release and introducing a modernised mobile interface to operate seamlessly between systems and eliminate frustrations for field staff. Complex integration with other corporate systems including mapping tools (Esri ArcGIS), payroll, finance, and HR applications. Unitywater’s Asset Performance Program Manager defined “configuration, not customisation” as the driving requirement in finding a solution that would strike a balance between cost-effectiveness and satisfying the business requirements. Providing training for key business users. The MFO is universally described as an enabler – removing the barriers to operational efficiency today and opening the possibilities for future innovations. Most importantly, the number of custom interface components has been reduced from 44 to 15, driving quality improvements in addition to maintenance savings. In particular, improved integration with ArcGIS has enabled map and asset data corrections to be easily flagged by field staff, processed and pushed back out to mobile devices within 24 hours. Previously, it could take months to see these corrections out in the field, resulting in poor data quality and limited incentive for crew members to report corrections.